Advisor Elevation is a podcast that was created for top-tier financial professionals that are committed to refining their businesses. Hosted by coach, blogger, marketer and consultant Matt Eilers, this podcast dives deep into the many facets of running a successful financial practice. Episodes provide insight, ideas, conversations and featured interviews with successful advisors and thought leaders. No topic is off limits. Conversations range from practice management to referral generation, sales and appointment processes to client segmentation. Matt will dive deep and cut to the chase about what you need to know to implement new ideas and elevate your business. Matt Eilers will focus on the pressing business issues that face financial professionals as well as explore the opportunities that exist. Matt brings his entrepreneurial and passionate attitude into the spotlight as he dives deep into the best practices of elite financial firms. Matt is the VP and head of the Coaching and Consulting division at USA Financial, a comprehensive financial institution that caters to independent wealth management professionals. Matt is the creator of Practice Synergy, an 8 Step Process for maximizing growth within a financial practice and the co-creator of the Advisor-Client Engagement Process, the ultimate appointment process track for financial advisors. The show is new, but if you were looking for no BS information to jumpstart or take your financial practice to the next level, this is it. Great marketing concepts and practice management are discussed. I highly recommend it! 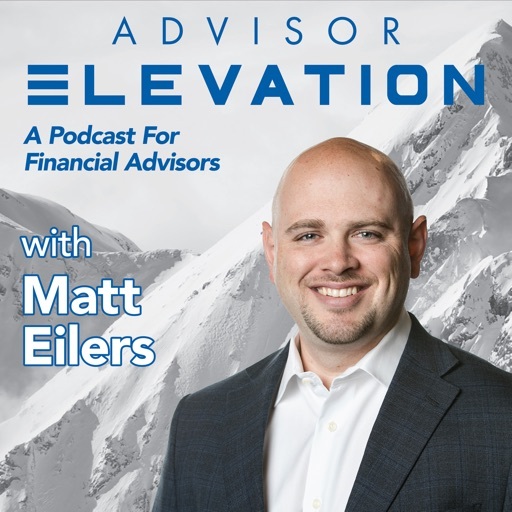 In the inaugural episode of Advisor Elevation, join Matt Eilers as he explores 25 different ideas for you to elevate and improve the client experience that you create within your financial practice. Each idea is discussed in detail, and throughout this episode you will hear insightful examples and stories to further help you implement any of the suggestions. This is an episode you don't want to miss, and will be one to share with your staff and/or team! © 2019 OwlTail All rights reserved. OwlTail only owns the podcast episode rankings. Copyright of underlying podcast content is owned by the publisher, not OwlTail. Audio is streamed directly from Matthew Eilers servers. Downloads goes directly to publisher.